LONE WOLF! 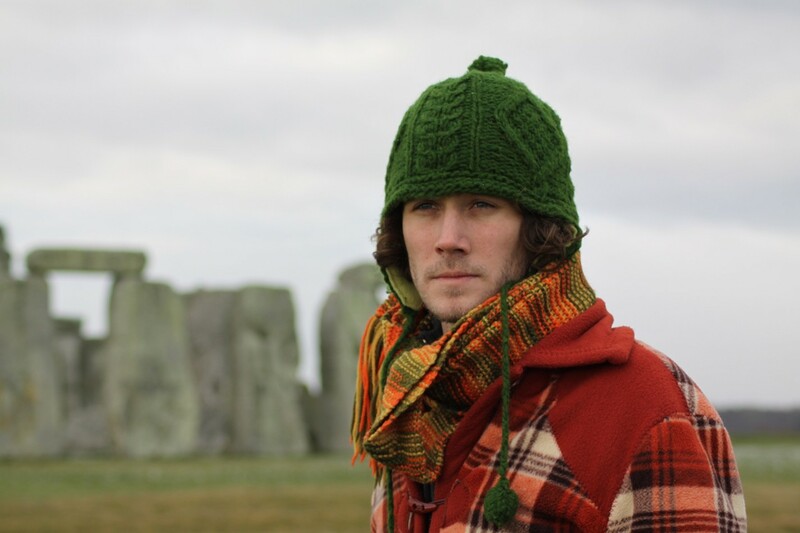 : Former Siko frontman Ephraim Sommers will release his first solo album, Stones & Smoke, on July 3 at Frog and Peach. If it seems as though Siko has disappeared from the local scene, that’s because the band has. “After touring the country for two months with Siko in the summer of 2008, I came back to California and began working toward my MFA in Creative Writing (poetry) from San Diego State University, which meant Siko would be on a hiatus,” explained former North County resident Ephraim Sommers. Siko, you may recall, played a funky brand of original rock and had rotation on 107.3 FM. Sommers has penned about 35 tunes on acoustic guitar while attending school, and after recording 20 or so, he whittled the collection to 13 tracks, which comprise his first solo album, Stones & Smoke. Sommers’ solo material can be cryptic, as in “Smooth You Out”: She limped into my office, asking about my rolling pin/ The receptionist took her crinkled paperwork and got her all checked in/ And they called her name at the side door, and they helped her to exam room two/ She was shaking and questioning and asking, “What does this doctor do?”/ They told her/ Right here right now, sweet daddy’s gonna smooth you out/ Right here right now, sweet daddy’s gonna smooth you out. Yet, he seems to have a knack for narrative songs, made clear in “Speakeasy”: All I want is a rum and a whiskey/ Bartender says, “It costs $12.50!”/ My lady’s talking to her ex-guy/ Grab a lean spot start watching the band/ She smacks the dude with the palm of her hand/ Why can’t I have one night without a fight?/ She comes to me raising her voice/ Stomping her heels making all kinds of noise/ I can tell from those eight-ball eyes she is high/ Speakeasy there’s no need to yell/ Speakeasy cool down and settle yourself. His writing is obviously informed by his pursuit of higher education: These are literate, cleverly constructed lyrics with fresh rhymes and stories with dynamic emotional resonance. “I’ve always loved soul, blues music, classic and southern rock, things like CCR, the Band, Bill Withers, The Allman Brothers, or Bob Dylan, where a full band often plays around an acoustic, and I wanted to see if I could make it work for an entire album,” he explained. “I also wanted to write songs that were simpler, where less is more, where each part instrumentally contributes absolutely to the song as a whole, but something that still grooves. He’s collected some of the musicians he enlisted on the album to play a release party. See Ephraim Sommers and The Moving Crew (guitarist Robbie Hart, bassist Justin Pecot, and drummer Wyatt Lund) with special guests Sam Sharp and The Trade Ins at 10 p.m. on Saturday, July 3 at the Frog and Peach. 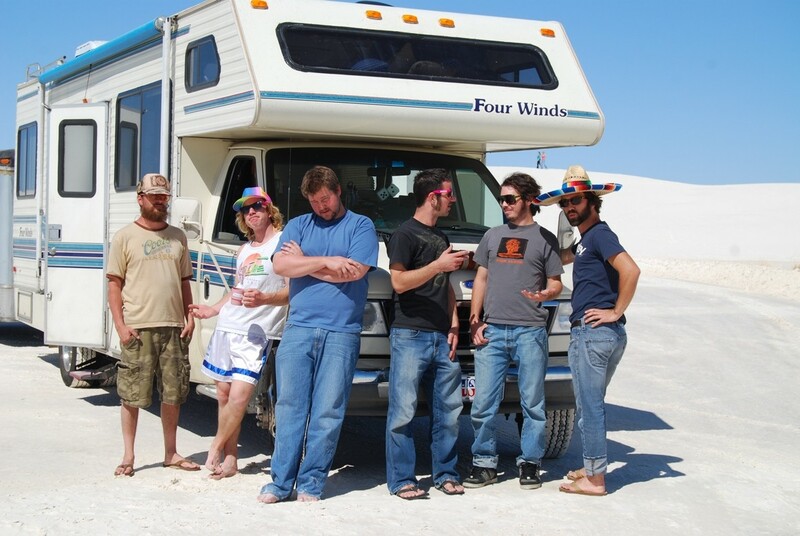 SOMEWHERE NEAR WHITE SANDS, NM : After 20,000 miles and four months on the road, Still Time returns with a July 5 gig at The Cliffs. of their RV for no good reason. 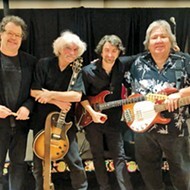 Curcio had plenty of tales from the road, but it seemed clear his band connected best with audiences in New Orleans and Texas. In the music-rich culture, insiders can tell the difference between players and posers, and Still Time was quickly embraced by the locals. In fact, the trumpet player for Walter “Wolfman” Washington, a guy known only as Antonio, adopted the band, showing up at their other New Orleans gigs and sitting in. 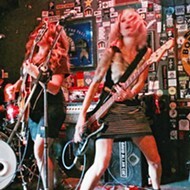 Texas loved them too, and they played a great show at SXSW, arguably the biggest festival in the Lone Star State. See Still Time on Monday, July 5 at The Cliffs beginning at 1 p.m. during a free concert. STAND AND SALUTE! 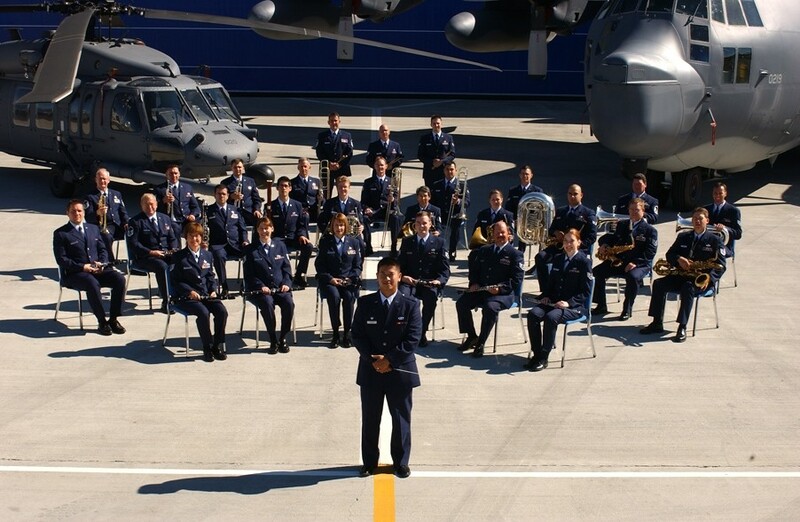 : The Air National Guard Band of the West Coast will present a free concert of band favorites on July 2 at the Ramona Garden Park in Grover Beach. Get your patriotism grooving during this 4th of July weekend with a bunch of good, old-fashion, family-style music events. The Air National Guard Band of the West Coast will present a free concert of band favorites on Friday, July 2, from 5 to 7 p.m. at the Ramona Garden Park in Grover Beach. Expect a wide variety of styles, including traditional wind ensemble repertoire, patriotic music, and marches. On Saturday, July 3, head to Biddle Park for a Woods Humane Society benefit show featuring The Dr. 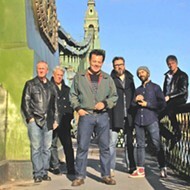 Danger Band (‘60s and ‘70s blues, rock, and soul), Up In The Air (folk, pop, Dixieland, bluegrass, Latin, and worldbeat), The Dentures (surf rock), Merrell Fankhauser (surf, psychedelic), and The Jim Townsend Band (blues). Hailed as the “Firecracker Boogie,” the show starts at noon and runs throughout the day. There’s a $2 per car park entry fee and a separate fee for dogs. Woods Humane Society will be on hand for direct donations and adoptions. Eclectic crafts, food, and refreshments will be available. Your generous shelter donations will be encouraged. The Arroyo Grande Village’s Annual 4th of July Celebration happens this Sunday, July 4 at 1 p.m. at the Rotary Bandstand in Heritage Square Park in the Historic Village of Arroyo Grande. The Village Band will perform a program of stirring patriotic and popular music, and the South County Historical Society will set the mood with traditional red, white, and blue decorations, period costumes, and barbeque. Under the direction of Gary Thompson, the 30-member band will perform a wide variety of traditional band music, marches, and patriotic songs. The concert event is a major fundraiser for the South County Historical Society, so bring some extra dough to buy all beef hot dogs, popcorn, lemonade, watermelon, sodas, and ice cream donated by Doc Burnstein’s Ice Cream Lab. Linda Osty will again have a table set up with postcards to fill in to send to U.S. troops stationed overseas. Attendees are asked to bring lawn chairs and blankets, as well as their friends and neighbors! According to Vina Robles Marc Laderriere, “The pyrotechnics will be on stage at the Vina Robles Hospitality Center as the winery hosts its first 4th of July Celebration in the heart of Paso Robles wine country. The festivities will begin with a special complimentary Independence Day welcome drink followed by a traditional barbeque and live music by three accomplished guitarists spanning the styles of blues, rockabilly, and country.” On Sunday, July 4, Dorian Michael plays blues, Kenny Blackwell plays rockabilly, and Jessie J. Harris plays country—each soloist supported by The Demos, a three-piece band composed of Wally Barnick on bass, Greg Astle on drums, and Gary Roda on steel guitar. Kids can enjoy carnival fun with a variety of games, crafts, and activities while adults pitch horseshoes and dance the night away. The doors open at 6 p.m. and the music starts at 7. Tickets are $20 presale or $25 at the door. Kids under 12 are free. Guests are encouraged to bring lawn chairs and blankets. SHHH! 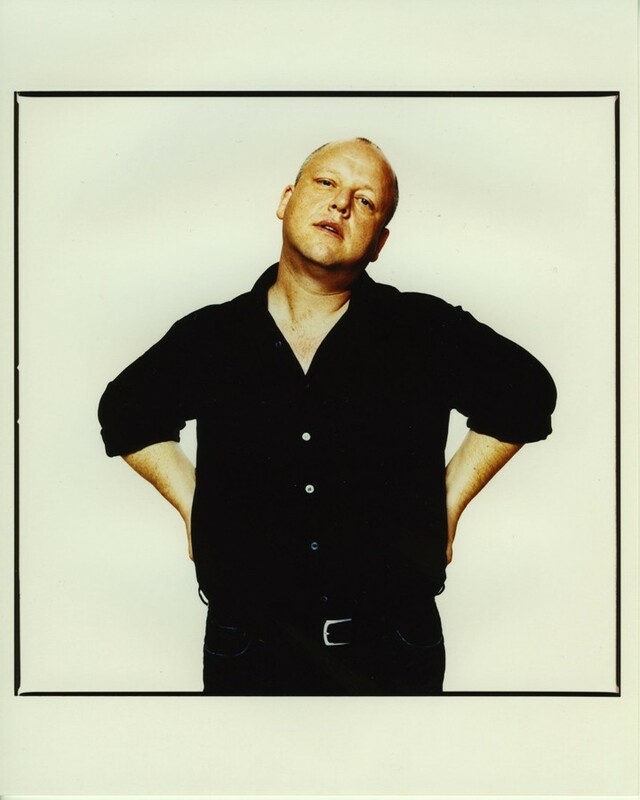 : Numbskull presents former Pixies star Black Francis in an intimate, acoustic concert at the Steynberg Gallery on July 1 . Numbskull presents former Pixies star Black Francis in an intimate, acoustic concert at the Steynberg Gallery this Thursday, July 1 (8 p.m.; all ages; $13 tickets at Boo Boo’s). Black’s career has been through so many incarnations that to describe them all would take all day. Suffice it to say, he’s a love-him or hate-him sort of performer, whose vocalizations have been described as everything from screams and yelps to melodic musings. He should be especially interesting in this setting. Downtown Brew in Paso Robles has some gangsta rap on tap this Thursday, July 1 when RBX and Hard Head perform. The doors open at 9:30 p.m., and tickets are $10 presale (at Danny Boyz Hip Hop Apparel in Paso or Boo Boo’s in SLO), or $15 at the door. SHE’S AN AMERICAN GIRL : Check out the Americana sounds of Kacey Cubero, who incorporates elements of roots, rock, and country, all with a soulful edginess, on July 2 at Mr. Rick’s. Record fans, don’t forget that this Saturday, July 3, from 11 a.m. to 11 p.m., the Henry Miller Library is hosting the first ever Vinyl in the Woods, “an all-day event devoted to independent record stores, local music, and of course, vinyl in all its resurgent glory.” This is going to be a great place to buy and sell, or just kick back and listen. DJs will also be spinning, and when the lights go down, there will be a still-shrouded-in-mystery “rock’n’roll movie” projected on the Library’s enormous outdoor screen. Lucky for local Celtic music fans, Molly’s Revenge has one member who lives in Los Osos, which is why we get this internationally known band more often than we deserve. 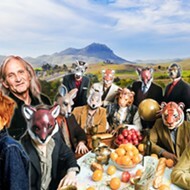 The band’s busied itself working up new arrangements of traditional pipe, fiddle, and whistle tunes for their next studio album, which they’ll record this fall in Santa Cruz. Hit the Red Barn at the South Bay Community Park in Los Osos this Saturday, July 3 and be among the first to hear the new tunes. The show’s at 7 p.m. ($10 donation requested), or come with a dish to share for the 6 p.m. potluck. “My smokin’ Portland-based acoustic duo Huge Sally is on tour through the western states, and we’re stopping in the fine town of San Luis Obispo for three days in early July, playing at Frog and Peach on Sunday, July 4 and Tuesday, July 6, both nights from 8:30 to 10 p.m.,” said Chris from the band. Rich harmonies and blues beats erupt from the alternating leading men, evoking Avett Brothers and Simon & Garfunkle. Road-tested rock-funk-reggae-hip-hop act Fish Out of Water presents an album release party this Tuesday, July 6 at Frog and Peach. 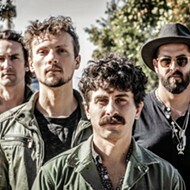 Fresh off their second national tour, the group somehow managed to squeeze in time to record The Dream, a six-track EP released last March, which was recorded by Grammy award-winner Wyn Davis at Total Access Studios in Redondo Beach. The title track has already received airplay in farflung places such as Las Cruces, NM and Myrtle Beach SC. Not ones for slowing down, the trio is already planning to depart on another national tour in August, so get ‘em before they get that van-stink on them again. The first 20 fans through the door will get a free CD. Downbeat’s at 10 p.m. DOUBLE YOUR PLEASURE : Melissa Rapp brings her “part velvet, part grit” sound to the Steynberg Gallery on July 6 and Linnaea’s Café on July 7. Melissa Rapp (vocals, guitar, keys) recently teamed up with producer/bassist Jon Evans (Tori Amos, Paula Cole) to record The Other Side, which she describes as “part velvet, part grit.” Showcasing her penetrating voice, the recording takes a minimalist approach “to highlight the strong songwriting.” This week in SLO, you can see her when she plays the Steynberg Gallery’s Tuesday, July 6 Songwriters at Play showcase (beginning at 6:30 p.m.; $5; with up to eight other performers). Rapp will also play Linnaea’s Café on Wednesday, July 7 at 8 p.m.
Next Thursday, July 8, at 7 p.m., La Bellasera Hotel & Suites in Paso Robles hosts a $15 concert with the legendary Kenny Edwards. He co-founded The Stone Poneys in 1965 with Linda Ronstadt and Bobby Kimmel. After that, Edwards teamed up with Karla Bonoff, Wendy Waldman, and Andrew Gold to form the legendary group Bryndle, eventually signed to A&M Records. When Ronstadt shot to the moon as a solo performer, she tapped Edwards and Gold as band members during her meteoric rise in the ‘70s. Since then, Kenny has collaborated and played with Stevie Nicks, Warren Zevon, Bonnie Raitt, Emmylou Harris, Glen Phillips, and Ringo Starr. Reservations are recommended by calling 591-9053.